Chevrolet has announced a base price of $29,995 for its revived Blazer nameplate. The new crossover is slated to go on sale in January as Chevy attempts to broaden its appeal in the all-important crossover arena. The new Blazer, based on the GMC Acadia, is Chevrolet’s formal entry into the midsize crossover SUV segment, slotting between the Equinox and Traverse. 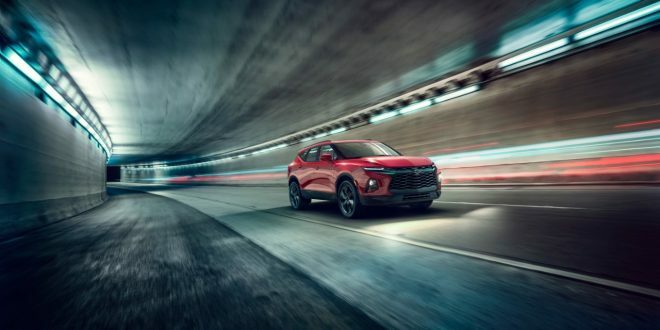 Competing with the likes of the Ford Edge and Nissan Murano, Chevy have priced the new Blazer just under both direct competitors. Both Edge and Murano have base prices just above $30,000. Chevy says the Blazer will be available in L, Blazer, RS and Premier trim levels, similar to other recent Chevrolet products. Each trim level will offer a unique “personality,” including an aggressive, blacked-out appearance for RS models. Base level Blazers will be equipped with GM’s 2.5-liter four-cylinder with 193 horsepower, while RS and Premier trims will offer the well-known 3.6-liter V-6 with 305 horsepower. Both engines will be mated to nine-speed automatic transmissions. Expect further pricing detail has the Blazer nears its January 2019 market launch.